This meticulously researched biography tells the extraordinary story of Georgiana Molloy, one of Australia’s first internationally successful female botanists. From the refined beauty of 19th century England and Scotland, to the dramatic landscape of the West Australian coast, Georgiana Molloy: The Mind That Shines gives new insight into the life of this pioneering botanist. Following a swift marriage, Georgiana and Captain John Molloy, a handsome hero with a mysterious past, emigrated to Australia among the first group of European settlers to the remote southwest. Here, despite personal tragedy, Georgiana’s passion for flora was ignited. Entirely self-taught, she gathered specimens of indigenous flora from Augusta and Busselton that are now held in some of the world’s leading herbarium collections. Using Georgiana’s own writings and notes, accompanied by full-colour pictures of some of the stunning plants mentioned throughout, Bernice Barry reveals a resilient, independent woman of strong values, whose appreciation and wonder of the landscape around her become her salvation, and her legacy. Seven leading botanical artists are brought together in this beautifully illustrated book. 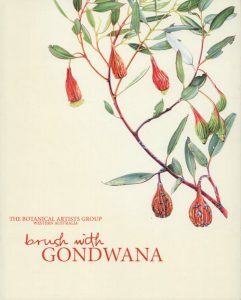 Author Janda Gooding shares the stories behind each artist’s illustrations and reveals a rich and diverse record of Western Australia’s unique flora, fauna and fungi. Illustrations by Margaret Pieroni, Katrina Syme, Philippa Nikulinsky, Pat Dundas, Rica Erickson, Ellen Hickman and Penny Leech. Artist/Author: Thurstan, Meriel and Rosie Martin. Over 50 step-by-step exercises to guide you through the botanical illustration process in simple, easy-to-follow stages. A unique and exciting approach to botanical illustration, this beginner guide demonstrates everything you need to know about capturing beautiful botanical specimens on paper. Each exercise guides the reader through a different aspect of botanical illustration, breaking the whole process down into simple, easy-to-follow stages. Whether you are a beginner looking for advice on composition and how to plot out your initial drawings, an experienced artist looking to develop your skills at colour mixing and working with unusual colours, or an old hand looking to capture more challenging and complex textures and shapes, there is something for botanical artists of all levels. Acclaimed artists Rosie Martin and Meriel thurstan ran the popular botanical painting course at the Eden Project and have filled this fantastically illustrated guide with practical and inspirational worksheets, colour swatches, sketches and stunning finished paintings. Artist/Author: National Library of Australia. 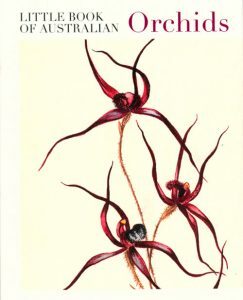 A delightful pairing of orchid images, from the National Library’s collections, with Australian poetry. Artist/Author: Bebbington, Anne L. D.
Plants constantly surprise us as we look at the intricacy of their structure and how they are put together. 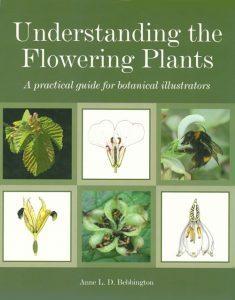 This fascinating guide explains what flowering plants are and their relationship to other groups of plants. It provides detailed information on structure and function of the different parts of the flowering plant and highlights important features that are often overlooked by artists. With drawings, paintings and photographs throughout, it advises on how to carry out a botanical study and will prove essential reading for botanical artists, photographers and all those wishing to gain a greater understanding of flowering plants. 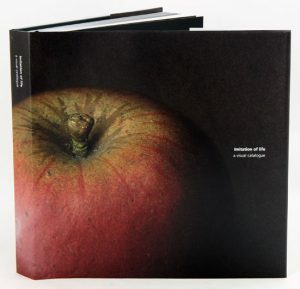 This sumptuously illustrated book from the Botanic Gardens of Adelaide features 192 apples and 129 pears presented as an album of portraits. Stunning photography captures the life-like detail of this intriguing papier-mache model collection. Showcasing a lost art form and lost fruit varieties, this book details the fascinating story of this rare German model collection. Adelaide’s collection is one of the largest collections to survive and the only one known to exist outside of Europe. After spending 60 years in storage the collection has been reinstated to the permanent display of the Santos Museum of Economic Botany – one of Adelaide’s lesser known treasures. The banksia is quintessentially Australian. Known and loved for its brush-like flowers and sweet honey nectar, the plant embodies both the beauty and harshness of the Australian landscape. 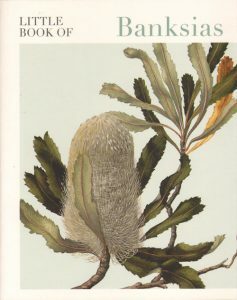 Little Books of Banksias features poems and extracts by some of Australias greatest poets, including Dorothy Hewett, Archie Weller and Douglas Stewart. The artists represented in the publication include Marian Ellis Rowan, Marrianne Collinson Campell, Adam Forster and Ebenezer Edward Gostelow. A botanical life: Robert David Fitzgerald. Robert David Fitzgerald (1830-1892) was a successful colonial surveyor who had arrived in Australia in 1856 as a young Irish immigrant of 25. He was employed by the Lands Department in New South Wales and, although he was an exemplary public servant, he was also one of the last of the Victorian-era gentlemen scientists: an avid naturalist, ornithologist and skilled taxidermist. Fitzgerald devoted his leisure time to botanical illustration and documented the orchids of Australia, publishing his discoveries in his internationally acclaimed work, Australian Orchids. In so doing, he corresponded and engaged with some of the great thinkers of his time, including Ferdinand von Mueller, George Bentham and Charles Darwin. While being best-known for Australian Orchids, Fitzgeralds lifelong passion for botanical art covered more than orchid species; a large variety of other plants were the subject of his sketches and paintings. Many of these are held in the collections of the National Library of Australia and are featured in A Botanical Life. This book presents a short biography, followed by a portfolio section of more than 100 stunning full-colour images of flowers painted by Robert David Fitzgerald. Artist/Author: Redoute, Pierre Joseph and James Sowerby. Part of The Mini Archive series that aims to capture the best of the best of ancient, rare, and significant volumes. 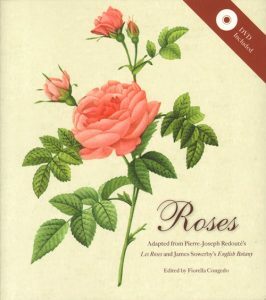 Drawing from the roses depicted in Pierre Joseph Redoute’s three volume masterpiece, “Les Roses” (first published in installments between 1817 and 1824) and James Sowerby’s thirty-six volume botanical monolith “English Botany” (1790-1813), this book features 170 of both artists’ magnificent hand-colored engravings in all their blooming glory. A visual index categorises each rose according to name, species, class, and genome. This book is accompanied by a DVD containing all of the images in the book in Tiff and Jpeg format. This book will appeal to horticulturists, collectors, students, teachers, artists and rose-lovers alike, for no one will be able to resist the undeniable beauty of these two artists’ absolutely breathtaking illustrations. This is a botanically based manual on how to paint a vast range of plants in watercolour and other media. 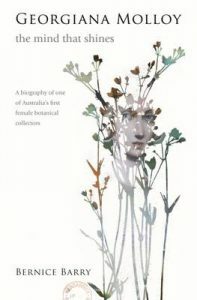 Drawing on her experience as a botanical art teacher, Christina Brodie covers botanical terminology, drawing and painting techniques in a wide range of media, dissection and examination of plants, fieldwork studies, microscope work and tips on presentation. 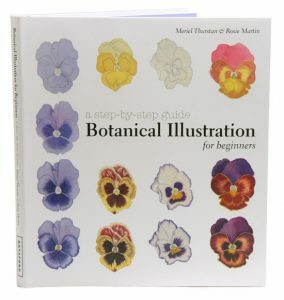 Having been taken through the various techniques in clear steps, the reader will be able to draw and paint flowers, fruit, leaves, stems and roots, trees, fungi, ferns and horsetails, seaweeds and other algae, mosses and lichens with remarkable precision and stunning detail. 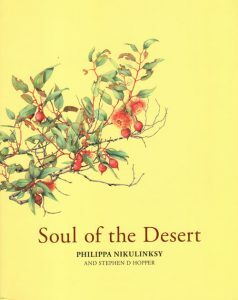 In the tradition of botanical artists Marianne North and Rowan Ellis, Philippa Nikulinsky’s exquisite paintings capture the natural wonder and diversity of the Australian desert. An inspirational guide to drawing plants. 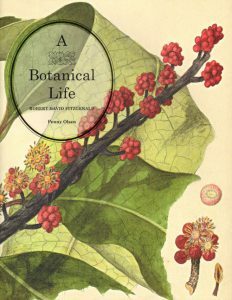 An intimate understanding of botany will help any artist create vibrant and realistic art. Sarah Simblet’s masterclass provides you with an awareness and appreciation of plants and flowers and shows how to apply that knowledge to your art. Covering every type of plant, from the tiniest mosses and lichens to sumptuous flowers and trees, Sarah shows how to evoke their beauty on your canvas or page. 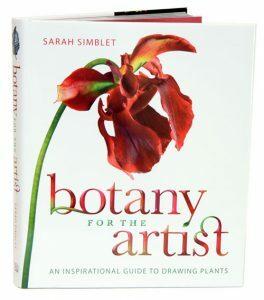 Drawing on the rich history of botanic art and combined with Sarah’s practical drawing classes, over 350 beautiful illustrations and vivid photographs, provide an in-depth look at roots, stems, leaves, flowers and fruits and explain how to create life-like drawings. 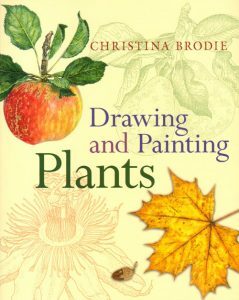 For anyone wishing to master the art of drawing plants or for all those passionate about plants and how they are portrayed in art.